The American Academy of Nursing (AAN) inducted Emory University nurse scientist and Georgia Cancer Coalition Distinguished Cancer Scholar Susan Bauer-Wu, PhD, RN, into its new Fellowship class of 98 top national nursing leaders at its recent annual meeting in Atlanta. Induction into the AAN Fellowship is considered one of the highest honors in nursing. Fellows are elected through a highly selective process that recognizes individuals who have made major contributions to nursing and health care and whose work has influenced health policies benefiting all Americans. "I am honored to be inducted as a member of the American Academy of Nursing Fellowship among the many accomplished nurse leaders in this country," says Bauer-Wu, an associate professor at Emory's Nell Hodgson Woodruff School of Nursing. "I have been fortunate to carry out important work that I love and to receive such recognition." Bauer-Wu joined the Emory School of Nursing and Emory Winship Cancer Institute faculties in 2007. She is recognized both nationally and internationally for her science on the mind-body connection and enhancing the quality of life for individuals affected by cancer. Her research programs aim to make a difference in the care that cancer patients receive and in the health of family caregivers. 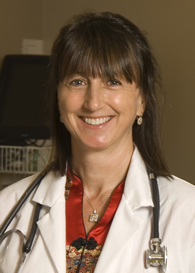 She is hailed as a national leader in palliative care and integrative medicine and health. "Dr. Bauer-Wu's induction into the Academy of Nursing Fellowship is a distinct honor for the Nell Hodgson Woodruff School of Nursing and Emory University," says Linda McCauley, PhD, RN, FAAN, professor and dean of Emory's nursing school. "Her scholarly achievements have resulted in significant improvements in the care and function of patients with cancer. Her leadership and mentorship of other scientists in the School of Nursing and throughout the United States is recognized through this achievement and her work is an inspiration to all of our nursing students," says McCauley. Bauer-Wu studies whether psycho-behavioral interventions have a positive effect on psychological and physical health. She is currently conducting a large randomized clinical trial that looks at whether meditation affects subjective symptoms as well as laboratory findings such as stress hormones or how long a patient's white blood cells take to recover after a bone marrow transplant. This National Institutes of Health (NIH)-funded study has enrolled 241 patients at Emory and the Dana-Farber Cancer Institute in Boston, where Bauer-Wu previously served as director of the Phyllis F. Cantor Center for Research in Nursing and Patient Care Services. The study will finish in 2010. Bauer-Wu is also involved in research with neuro-imaging to see what parts of the brain respond to such interventions. "Mindfulness meditation provides skills for the cancer patient to better cope with stressful circumstances," Bauer-Wu says. "In turn, the stress response can be minimized, and a sense of well-being ensues, and the cancer patient feels more relaxed, in control, and physically comfortable." Bauer-Wu's interest in cancer patients began early in her career when she worked as an oncology nurse. "It was challenging yet satisfying because I was able to take care of the whole patient, body, mind and spirit, and involve the family as well," she says. In addition, she recently received a $3.5 million NIH grant for a study aimed at reducing heart disease risk and improving health and wellbeing among family caregivers of dementia and heart failure patients. Bauer-Wu received a bachelor of science in nursing degree from the State University of New York College at Plattsburgh in Plattsburgh, N.Y. She earned a master's degree in oncology and adult health nursing from the University of New Hampshire and a doctoral degree specializing in psychoneuroimmunology from the Rush University College of Nursing in Chicago. Bauer-Wu also completed a post-doctoral fellowship in psycho-oncology and behavioral medicine at Dartmouth-Hitchcock Medical Center in New Hampshire. She is a member of several professional organizations, including the Sigma Theta Tau International Honor Society in Nursing and the Oncology Nursing Society, and serves on the board of directors for the Society of Integrative Oncology.